Day Two started out at Ambassadors Day at Makers Mark. More than 5000 brand ambassadors showed up for a special day of self guided touring and the first annual Handcraft Festival showcasing local artisans from Louisville to Lexington and all points south and between. Inside the warehouse at Makers Mark there was a line all day to buy limited edition bottles of Bourbon. The small rickhouse at Makers Mark. A small number of barrels are kept here for the tour. This spring-fed creek supplies the water for Makers Mark's wildly popular bourbon. Just part of the beautiful grounds at the distillery. It was a great event. Several food vendors were onsite, and attendees were treated to food, ice cream, and tastings of Maker's new 46 Bourbon. The Lamb Gyro sliders from Athenian Grill in Lexington looked too good for us to pass up. I got to dip my own bottle to seal it in the word famous wax at Makers Mark. Very cool. It was a great time at Makers Mark. They really rolled out the red carpet for us. Great Food, classic Bourbon, and some great handcrafted items from all over Kentucky made this a fun time for all invited. From Makers Mark we headed back towards Bardstown and visited Willett Distillery. Willett is one of the smaller distilleries we visited, but was a great chance to see an old distillery coming back to life. 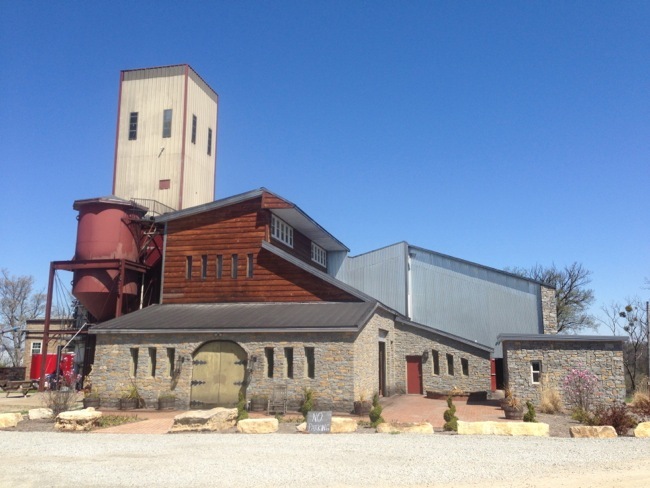 They have been making a name for themselves for quite a while with their Johnny Drum line, but until last year it was distilled for them at an unnamed distillery using the original mash bill (recipe), along with all of their other bourbons while the family was rebuilding the still house operations at the original site just down the hill from Heaven Hill distillery. Willett has a great history. The original stillhouse built in 1936 is still standing, but was gutted in the early 1980's by an ethanol company that owned the property before the family was able to buy it back in 1984. At that time the Kentucky Bourbon Distillers, Ltd., registered distillery DSP-KY-78 started operations under the ownership of Even G. Kulsveen, the son-in-law of original founder Thomas Willett. Today Evan's son Drew serves as master distiller, and he oversaw the distilling of the first bourbon actually made on site just over a year ago. Barrel number one since the refurbishment of the Willett Distillery won't be ready to bottle for at least another year, and likely 4-6. It was signed after being filled by all the living Willett descendants. Upon entering the stillhouse, the fist thing you see are the two giant mash tons, where water, corn, and wheat are mixed to soak before heading to the fermenters. 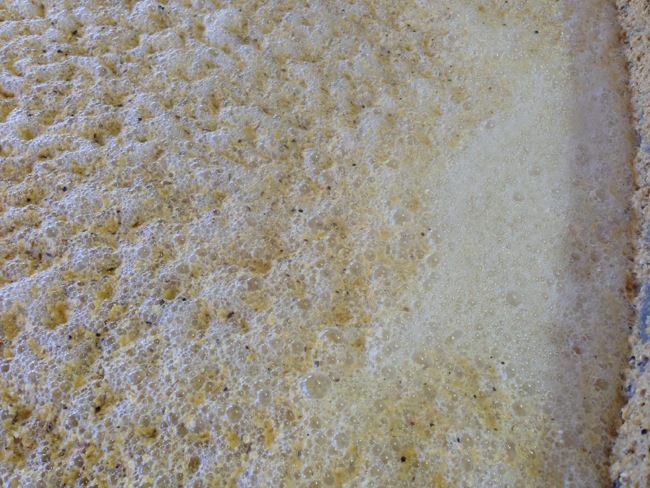 As the yeast works converting the sugars from the grain into alcohol, sometimes violent eruptions of carbon dioxide from the bottom of the tank. The new potstill was set in place after being designed (and improvements patented) by Evan and Drew Kulsveen. The rickhouse at Willett contains just the barrels filled since full distillation restarted onsite last year. The tour ended with a tasting in the visitors center. We had a chance to try two great bourbons while we were at Willett. The first was Willett Potstill Reserve, their flagship. The second I tasted was a bourbon I have heard about for years, but never had a chance to taste, Johnny Drum Private Reserve. My tasting notes of the Johnny Drum. I love this bourbon, and it is easy to see why the critics love it too. I'm happy I was able to bring a bottle of this home with me. Our third and final stop of the day was the Barton 1792 Distillery near downtown Bardstown. We arrived too late for a tour, but it was great to see this old distillery, the only active distillery still in the city limits of Bardstown. Barton 1792 stands on the site of the historic Tom Moore Distillery in old Bardstown. Barton 1792 is home to the worlds largest bourbon barrel.